This is a story of faith. It’s a story of learning how to grow in faith by trusting God for literally EVERYTHING. It’s a story of learning how to hear and discern God’s voice when direction from Him is necessary. This story took place in South Thailand during weeks 8-10 of my YWAM DTS (Youth With A Mission Discipleship Training School). This is the story of my 19-day Faith Outreach. We didn’t know where we would be going until we were given the bus ticket after arriving at the bus station. There were 7 of us. We were not allowed to bring smart phones or any device that could access WIFI. We had two ‘dumb phones’ that were used for emergencies and reconnecting if we split up. We had no contacts and no chance to do research. We were going blindly by faith to a city none of us knew, a city none of us had been to, trusting God would make the connections for us. 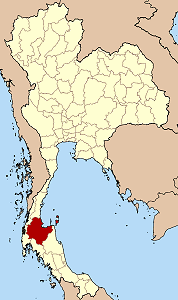 That city was Surat Thani, Thailand. 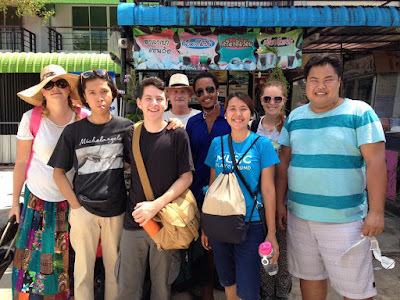 We were given a budget of 50 Thai Baht ($1.65 USD) per person, per night for sleeping, 40 Baht ($1.30 USD) per person per meal (breakfast was ramen noodles and toast with jelly), and 20 Baht ($0.70 USD) per person, per day, for transportation. We had to trust God to stretch our finances and multiply them to provide our needs during these 19 days. Except for the waterfall we saw and experienced all of these things within the first 2 days. Even though we didn’t make any connections the first day we were confident that we were right where God wanted us. Upon our arrival we prayed again about what to do, got some more visions (which we saw while walking around) then split up for a couple hours to check out the city center around the bus station. We found a market to eat at and some of the things from our vision Friday. After dinner we walked to a pavilion near the fruit market to worship. While worshiping a grandmother, mother, and baby walked into the pavilion to rest. We couldn’t believe it!!!! Some of our Thai members went to speak with them and she lead us to a cheap hostel. After the worship the leaders decided to take us to a hostel for the night to get a good rest. Most of us were looking forward to sleeping in the pavilion but the rest was good. It was 200 Baht per person for the night, which ate up 4 days worth of sleeping money, but we were trusting God would provide what we had left to spend. After our prayer we split up into groups of two to make connections and talk with people about the culture of the city. During that time we found some more things from past intercessions we hadn’t yet seen, confirming again we were right where God wanted us. We also went to talk to churches we found in the city from our first day of exploring. Then we came back to debrief. Two of our leaders shared about an experience they had at one of the churches they visited. The pastor was not there so they were given her phone number. But as they were leaving she walked into the church. Even though she was busy she sat and listened to our story. Then, without being asked, she said the church had enough room for us to sleep and offered shelter in the residence of the church for as long as we liked, no strings attached. We were so excited and couldn’t believe it when we heard! We wanted to accept it but also wanted to make sure it wasn’t our own will desiring a place to rest our heads. All of a sudden I looked up from where we were discussing and saw a staircase outside a 3-story building with a white sheet hanging from the side and a bunch of birds flying above the building. We took that as a sign from God. The other sign was the name of the church, “Stream of Life Church.” All of these things matched the vision we had received from God that morning. When we got there we saw the church was next to a river with a bridge going over and we slept on the third floor of the building. In the guys room was a sleeping pallet and 3 beds. This matched a dream one of our members received the night before we left for outreach. Other situations that corresponded with our visions were there was a bakery near the church and the son and daughter-in-law of the pastor of that church own and run a pharmacy business!! All the visions from that day we prayed at the hotel were met with the Stream of Life Church!!! We went to the leaders and asked what they had for us. They invited us to go do evangelism at the two local universities in the city. They told us about a discipleship camp they were going to have for the college students at the church. The also asked us to lead and speak at the college cell group. We said yes. During evangelism we invited students to come to the camp. One day at the mall one lady some team members spoke with came to know The Lord and we were able to connect her with the church. The camp lasted 3 days and 2 nights and also went really well. The youth had a great time and said they felt very encouraged after! The staff also felt the same way. We played games and had opportunities to share testimony and speak to them. During this camp we took the youth to a clear spring that had a waterfall fulfilling the vision of the waterfall. This church is located in a part of Thailand where only 0.2% of the 1.04 million people are Christian (that’s 2,080 Christians). They are busy doing outreach, and evangelism in the city and throughout the province; partnering with other churches, discipling, and church planting. Each Sunday they average 2-3 new converts a week. Since they are so busy, without a lot of time or money to take care of the church, the church is dirty and hasn’t seen a good cleaning in quiet a long time. We had several opportunities to help clean the church for them. Teaching the Hokey Pokey to 3 year olds! Because of these visions we thought maybe God was calling us to leave the church and go to another place but some people really had peace about staying. Then we wondered if maybe God was calling us to stay there but work in a different ministry within the church. We hadn’t done anything with the kindergarten vision yet and it came back up so maybe there was something there. We also had no idea if the church even had anything else for us to do. Our main leaders came back that afternoon to see what was going on and try to help us. 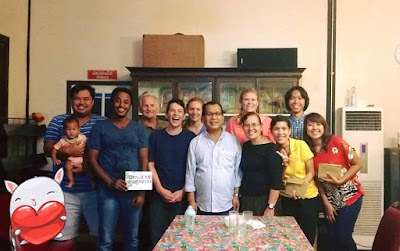 Little did we know the day before the church called and asked them if we would be interested in going to a remote village to do ministry work at a church plant of Baan Don church. We would work with kids, teaching English and leading a bible study. Also, they had a couple kindergartens for us to teach English at and an orphanage they wanted us to visit. The leaders didn’t want to tell us because they knew we were going to pray about it and didn’t want the information to sway our praying and asked the leaders of the church to wait till after we pray. Everything matched up with the visions we were given for that day but we couldn’t understand why they seemed so conflicting because we didn’t understand the big picture. Fortunately they were not conflicting to God! He knew and was leading us even though we didn’t understand. He brought the two parts of the plan together and with that came understanding. God is a God of clarity, not confusion. If something doesn’t make sense and we ask for Him to help us understand He will and He did. 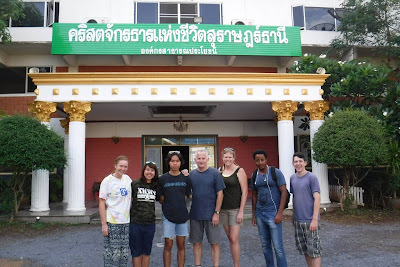 We ended up staying with the church 18 of the 19 days we were in Surat Thani. Before this outreach we had no connections in this province and now we have many connections. It was a great time of building relationships, discipling, encouraging one another, blessing each other, serving one another, and growing in our faith as we experienced it ourselves and shared the journey with the church. In the end we had 3,000 Thai Baht ($90 USD) left over from our budget and were able to bless the church financially with it. It might not be much but it’s money that was left over in faith and I am sure will be used the same way.